DARPA is awarding a contract, called the Blackjack program, to Airbus Defense and Space to develop a satellite bus to support the program. Defense Advanced Research Projects Agency (DARPA) describes the Blackjack program as an architecture demonstration intending to show the military utility of global low-Earth orbit constellations and mesh networks of lower size, weight and cost. DARPA's intentions are to purchase commercial satellite buses and pair them with military sensors and payloads. The bus drives each satellite by generating power, controlling attitude, providing propulsion, transmitting spacecraft telemetry, and providing general payload accommodation including mounting locations for the military sensors. Tim Deaver, Director of U.S. Space Programs at Airbus Defense and Space, Inc. said that Airbus has previously co-invested hundreds of millions of dollars in high-rate manufacturing technology and supply chain logistics to build large constellations of small satellites. Airbus is committed to growing manufacturing capability in the U.S. and their government customers can leverage this commercial capability to develop low-Earth orbit& constellations to complement large existing systems. This contract positions Airbus Defense and Space, Inc., of Herndon, Virginia, and its strategic joint venture partner, OneWeb Satellites, of Exploration Park, Florida, as the ideal service providers for Blackjack. High production rates and design-to-cost management techniques enable OneWeb Satellites to offer low cost constellation solutions for the U.S. government and current customers. Constellations of inexpensive satellites permit wide scale disaggregated architectures enhancing survivability across many different mission areas. OneWeb Satellites is pioneering new value propositions in space. They are leading the design and manufacturing of ultra-high performing satellites at high-volumes. Tony Gingiss, CEO, OneWeb Satellites said that they have created a game changer with their overall design, supply chain and production system. Their team is transforming the space industry and they are in the midst of demonstrating they can deliver on their promises. 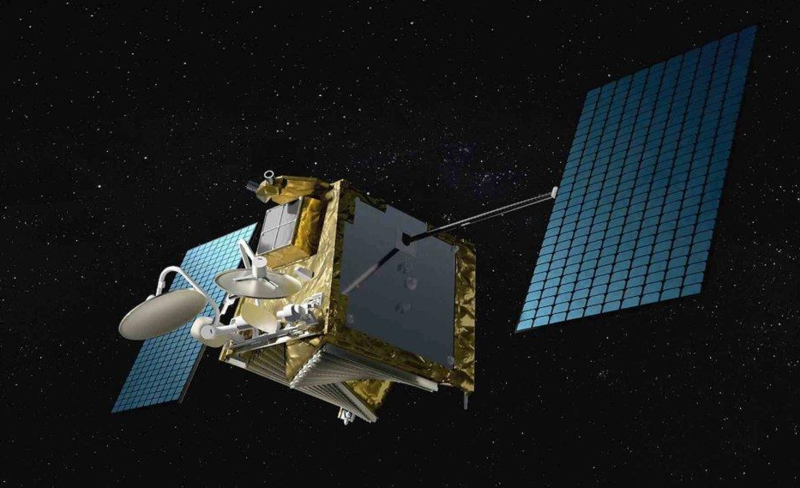 OneWeb Satellites brings to bear capabilities which dramatically lower the cost and shorten acquisition timelines for customers thanks to a modular design and agile serial production of satellites. The OneWeb Satellites satellite manufacturing facility in Florida is the latest step in Airbus’ continued commitment to growth in U.S. manufacturing, job creation and investment. This facility, which will ultimately support thousands of jobs and follows the opening of our U.S. Manufacturing Facility for A320 aircraft in Mobile, Alabama, from which they delivered their first aircraft in 2016. An A220 assembly line on the same site in Alabama will break ground in January of 2019. With their network of U.S. suppliers Airbus is the largest consumer of U.S. aerospace and defense goods in the world, and the company has invested $16.5 billion with U.S. companies in 2017, supporting a total of 275,000 American jobs.